One of the main investment benefits of gold is its liquidity. In fact, if you think about it, the words “liquid” and “gold” go together as “liquid gold” proving the connection! In this article, we explore the liquidity of gold and how easy it is to convert gold bars and coins into cash in the bank. Take an investment item for example such as a house. This is an illiquid asset as it takes time to sell a house for its market price. Obviously, a house can be sold quickly, but this would be at a substantial drop in its value. Typically houses take 3 – 12 months to sell, so are illiquid where money is rapidly needed. Why is gold considered liquid? The liquidity of gold is undoubtedly a benefit, which many investors overlook, but think about it for a minute, if you needed to convert gold into cash quickly, liquidity is vital! The fact that gold has a spot price worldwide means it can be treated similarly to a currency but actually has less risk than an individual currency which is subject to the whims of the economy of the currency in question. Private investors have recognised the importance of portfolio diversification through gold and have recognised the liquidity issues associated with investments such as commodities, hedge funds, shares, etc. To maximize the ease at which you can sell your investment gold, buying bullion gold coins generally beats the liquidity of gold bars or collectors coins. Coins have the advantage of being small in denomination which increases the selling options, therefore enahancing liquidity. There are more people who can afford a small coin than a large bar, so more buyers equates to an easier sale. 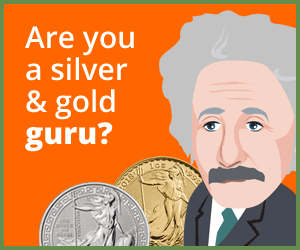 Bullion coins are the most liquid of all as they require less expertise and knowledge than numismatic (older) coins. 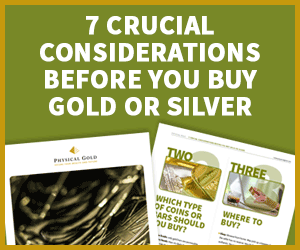 To achieve the optimum price when selling obscure or collectors coins, more time is required to find the right buyer than basic investment bullion coins. such as its rarity, as an inflation hedge, for investment portfolio diversity, its increasing industrial demand, the collectability/appeal of owning gold coins, etc. there are many other reasons too apart from liquidity to invest in gold. Effectively liquidity is an added extra benefit for free! Investing in gold couldn’t be easier, simply contact Physical Gold today on 020 7060 9992 and we can advise you on the best gold investment approach for your circumstances. Look around our site to view our options and email us to arrange a call or with any questions you may have about gold investment. This entry was posted in Blog and tagged Gold liquidity.